from 1.1.2016 onwards. Are you ready? Lectures, supported by illustrations, and interactive discussions. Use sample financial statements in the Exposure Draft/Standard to illustrate the practical application of proposed standard. Highlights of key requirements of the following sections, including major differences, impact and changes with the existing PERS. He has over 15 years of working experience. Moreover, he is a fellow of ACCA, a member of the Malaysian Institute of Accountants, the Malaysian Institute of Certified Public Accountants, a chartered member of The Institute of Internal Auditors, as well as a Certified Financial Planner. 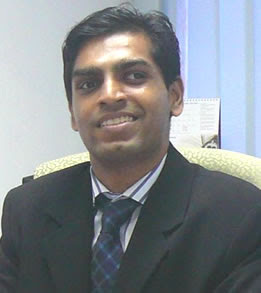 He was also the Executive Director of Training for Morison AAC in Malaysia for several years. He provides consulting and advisory services for businesses and public practices in accounting, auditing, corporate finance and risk management across Asia Pacific, including Singapore, Hong Kong, Brunei and Cambodia. His training experience includes topics on Internal & Statutory Auditing, Public Sector/Government Audits, ISQC 1, Risk Management & Internal Controls, Review and Assurance Engagements such as Financial Due Diligence, Forecasts & Projections, Forecasts & Projections, Forensic & Fraud Accounting, as well as seminars/workshops on practical application of International Financial Reporting Standards ("IFRS") and Reporting Standards for SMEs. At least 6 ways of major differences, impact and changes with the existing PERS. Some Illustrative financial statement and Presentation and Disclosure checklist.